Each pair of our 'Diplomat' double monks has been carefully handcrafted and set with a Goodyear stitch to ensure construction that is built to last. 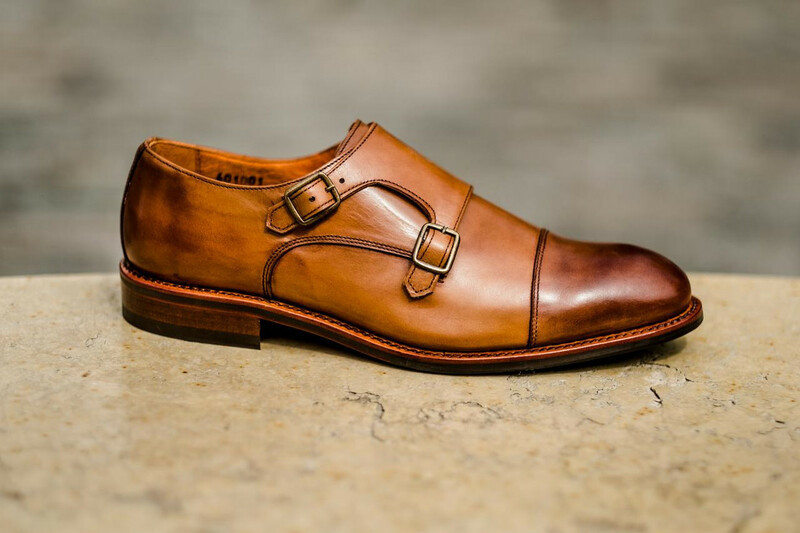 These shoes will look just as smart dressed up with a tailored suit at the office as they will with a pair of dark wash jeans on the weekend. Your Crosby Square shoes should feel supportive and snug without being constricting. As they age and break-in, they will gradually mold to the shape of your feet, becoming as comfortable as, well, an old shoe. A good rule of thumb is to go a half size smaller than your favorite running shoes. Copyright © 2019 Crosby Square. All rights reserved.